Bangor Maine Excavation Contractor, Site Work Preparation, Water & Sewer Lines, Utilities, CA Strout & Sons serving the Greater Bangor Area. C.A. 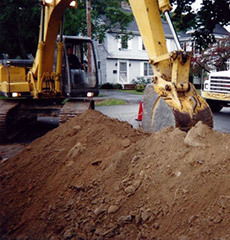 Strout & Sons is a Maine excavation contractor offering site work preparation to the Greater Bangor area. 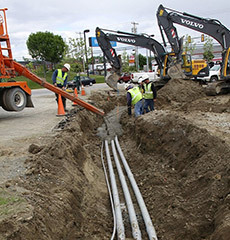 Our site work preparation services include ground preparation, water lines, sewer lines, septic systems and utilities. In addition we also offer bulldozer and demolition services along with sales of gravel, sand and loam. Three generations deep, we can assist you with all aspects of residential and commercial projects. 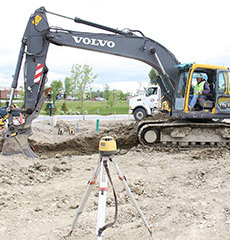 Some of our excavation work includes site work for new construction, drainage, parking lots, roads, septic system installations as well as water and sewer connections. We also offer repair services for water mains, drainage systems and septic systems. Plowing and sanding services are available throughout the Greater Bangor Area. We offer commercial account contracts that will work for you and your business, ensuring your parking and roadways will always be taken care of during bad weather. Copyright © 2019 C.A. Strout & Sons.